Lao Tzu or Laozi was a Chinese philosopher, believed to have lived in the 6th century BC. He is considered the author of the Taoist classic – the “Tao Te Ching”, which offers an iconoclastic spiritual philosophy, based on an underlying unity of the universe. 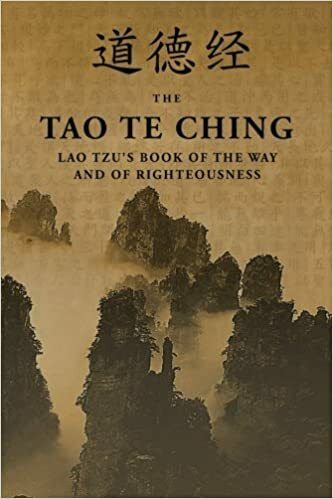 The work of Lao Tzu has a timeless appeal and has been claimed by the religion of Taoism but also co-opted into a range of spiritual philosophies and anti-authoritarian movements and remains relevant today. Amongst historians there is uncertainty over the historical facts about Lao Tzu’s life – some even doubt whether he existed. 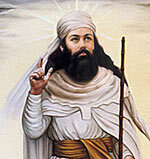 But, the most prominent sources suggest he was born with the birth name of Er Li in the 5th or 6th Century BC. 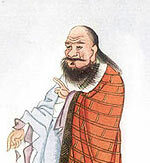 Laozi 老 was an honorific name which means “Old venerable, Master” It can be anglicised in different ways – hence both Laozi and Lao Tzu have been used. The strongest historical sources suggest he worked as a scholar and served as the keeper of the archives for the Royal Court of Zhou. Lao Tzu would have had access to the great literature of ancient Chinese culture and this would have informed his own philosophy. However, Lao Tzu went beyond synthesis of past ideas and created a new strain of philosophy – which expressed mystical sentiments in thought-provoking paradox and analogies. The philosophy and teachings of Lao Tzu are said to have drawn many students and disciples who began following him. However, there are no records of Lao Tzu creating a formal school. The essence of Lao Tzu’s teachings was the importance of seeking to live in harmony with the Tao. Lao Tzu implied that the Tao was beyond name and form and could never adequately expressed in words. The Tao Te Ching gives advice for a seeker to go beyond the limited ego, and gain a greater appreciation for the invisible power and force which underlies the universe. The Tao Te Ching is a classic of mystical philosophy. It challenges conventional wisdom and the earthly pursuit of wealth, power and success. By contrast, it encourages the qualities of humility, modesty and simplicity. It suggests the best form of leadership is to lead from behind, not grasping for power, but using gentle methods of persuasion to keep people on the right track. “The Tao nourishes by not forcing. According to the Tao Te Ching, the ultimate goal of life is to attain the state of wu wei – free from desires. This can be achieved by emptying the mind and going beyond awareness of the body and human ego. The Tao Te Ching is not for a mere literal understanding. When it talks about the virtue of ignorance, Taoist scholars suggest this means the absence of worldly vanity and false pride in material knowledge. The Tao also avoids the fundamentalism of religious texts. It doesn’t list a set of commandments, but suggests the Tao is a guide with no fixed path – each individual must follow the Tao according to his inner prompting. In the Zhuangzi, the author relates a meeting between Lao Tzu and Confucius. Confucius was an eminent scholar and philosopher in his own right. Confucius promoted a more formal philosophy which emphasised formality and deference to your elders. Lao Tzu took a more intuitive and liberal approach, which emphasised the importance of being in tune with the universal harmony – and not just the conventions of the time. However, the meeting suggested a mutual appreciation for their respective approaches. The three philosophers Master Zhuang, Confucius and Lao Tzu, are the most notable Chinese philosophers. The Zhuangzi and the Tao Te Ching are the two cornerstones of Taoism. In one version of Lao Tzu’s life, he married and had a son called Zong who became separated from him and went on to be a celebrated soldier. At a later time, Lao Tzu comes across a great military figure who is celebrating a military victory. It is at this point that Zong recognises his long-lost father. Lao Tzu then gives advice to his son – in particular, the value of respecting the defeated army and giving his foes a proper burial. Through listening to his father and avoiding a sense of triumphalism, Zong was able to broker a peace between the warring parties which lasted for many years. In another version of Lao Tzu’s life, based on the writings of Sima Qian (a Chinese Historian of the early Han dynasty 206 BBC) Lao Tzu lived in Changzhou. 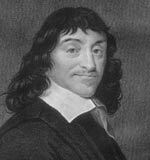 However, he became discouraged by the moral decay and worldliness of the city. Seeking peace to meditate, he resolved to leave the city and live as a hermit in the mountains. However, at the western gate of the city, he was stopped by a guard Yinxi, who asked Lao Tzu to write his knowledge down for the benefit of citizens before he was given a pass to leave. It was at this juncture that Lao Tzu wrote the Tao Te Ching. In some versions of the story, Yinxi was so impressed with Lao Tzu that he became his disciple and followed Lao Tzu into exile. Yinxi then followed the different Taoist disciples of preparation and obedience to his Master – after completing a long period of preparation and training. He became the model Taoist student. Lao Tzu is generally regarded as the founder of Taoism. In some branches of Taoism, Lao Tzu is worshipped as a God. Lao Tzu was viewed as a perfect personification of the Tao and throughout history, he has appeared to lead humanity towards its goal. Citation: Pettinger, Tejvan. “Biography of Lao Tzu”, Oxford, UK – www.biographyonline.net. Published 27 January 2019. Last updated 27 Jan 2019.